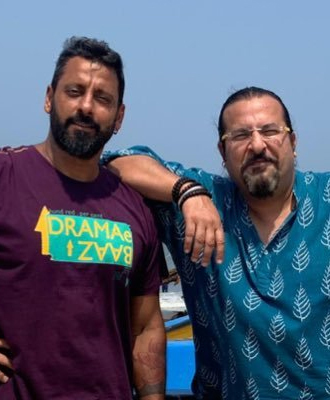 Rocky and Mayur are food enthusiasts, television anchors, and childhood friends who have travelled more than 120,000 kilometers across the length and breadth of India in search of great food experiences. Known as India’s favorite foodies from the popular travelogue ‘Highway on My Plate’, they live for the joy of engaging with people to share their varied experiences. Rocky and Mayur have recently co-founded a corporate training company called MindsEye, where they engage with senior leadership and cross-functional teams through workshops focused on developing inter-personal relationships, improving the productivity of group dynamics, leadership and innovation. Puma Sports, Microsoft, Pearson Education Future Group India, Domino’s and Unilever are some of the major clients they have already worked with. Through multiple award-winning shows and bestselling books, the duo has reached out to over 40 million people. About their interests besides food, in his free time Rocky is a wild-life enthusiast and is passionate about scuba diving, ornithology, and golf. While having hitch-hiked his way across sixty countries in five continents, Mayur is passionate about rock climbing and squash.